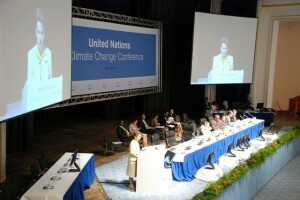 Mary Robinson Foundation – Climate Justice | What is the UNFCCC Process? It contains information about the United Nations Framework Convention on Climate Change (UNFCCC) process and a summary of previous climate change conferences. What is the UNFCCC Process? was developed to help people inform themselves of the process by which decisions are made that affect how the world responds to climate change.